We offer PVC Banner, Table cloth, Custom Flag, Teardrop Banner, Fabric Pop Out Display, Stage Backdrop, Fabric Banner, Pull Up banner, Poster and Foam board for all events. You Are At The Right Place! Why Choose Us ? 1) We do a lot of Banner Printing Services and Stage Backdrop for Government sector such as Community Clubs, Residents Clubs, NEA, SRC, NSC ….etc since Year 2000. Guarantee cheap price match ! 3) We provide Custom Design and Layout Services ! We use images from Shutter stock and China stock images. 4) We provide finishing on your request – Free Poles or Eyelets with strings for the Outdoor PVC Banner. Pockets at the top and bottom or left and right of a banner for inserting poles, to keep your banner nice and flat. Eyelets are added to each corner to provide anchoring points and extra strength. 6) We use Latest Printing Technology, with High End Epson and Seiko Printheads to print high resolution near photo quality images. 7) Our company no GST, so if you do $100 products you save $7. You can use this $7 buy Starbucks to lim or jiak McDonald’s ! Imagine you do $1000, you save $70 for your company, your boss will promote you ! Our selection of custom banners can fit any person’s promotional or decoration plans. Depending on what you’re looking for on our website today, we have a selection that can withstand inclement weather and wind. 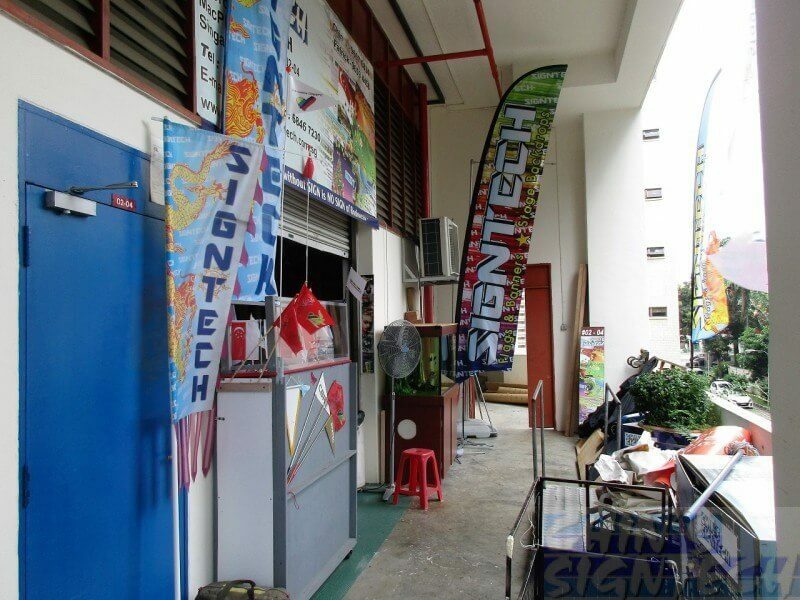 At Signtech.com.sg, we want things to be as easy for you as possible. We will guide you through our banner printing service. If you cannot find answers to the questions you’re looking for, feel free to call our experienced designers or customer service representatives. We stand behind our banners, guaranteeing that your order will arrive in pristine condition. On top of that, we will match any competitor’s price by 10 percent! We want to give you the best deal with high quality printing for your custom banners. Allow Chin’s Signtech to help you communicate with your community through finely crafted banners. Ideal solution for Wedding, Graduation, Graduation Concert, Dinner and Dance Anniversary events, If you are looking for a simple, quick and cost effective way stage backdrop to increase the background choices available to you, guest and customers. 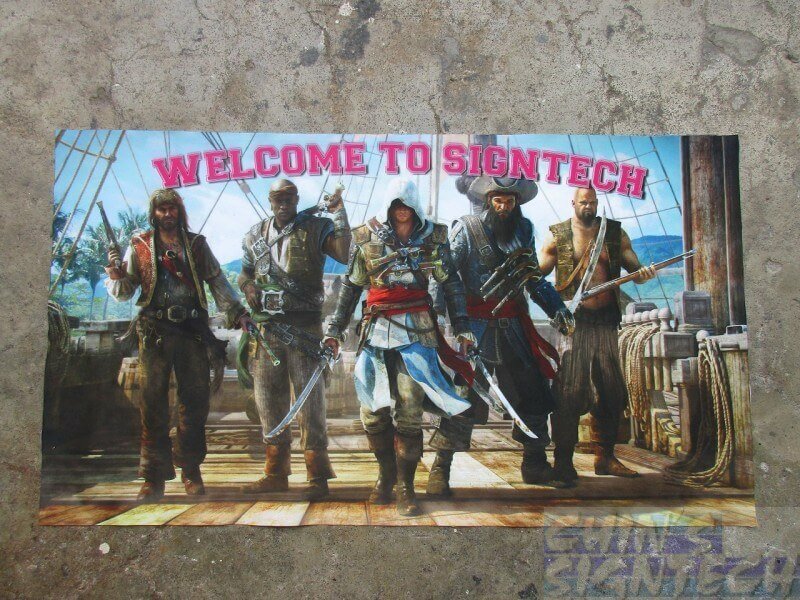 Each Outdoor PVC Banner is printed with solvent ink on PVC canvas / vinyl material. Your banner will attract attention from miles away, from outside during sporting events to inside at a trade show. Businesses need a banner that is built to last. PVC banner maintains its quality for at least one to 3 years, which is great for long-term advertising. Hang an outdoor PVC banner to share the message faster than word of mouth! Get a custom banner that expresses your child’s personality. Add in photo and texts you are ready to have a great birthday party ! Get a custom backdrop for photo taking for your Wedding event. Great for memories ! Digitally printed in full colour to fabric material, these lightweight banners can be folded for convenient transport and storage. Great for oversea trip ! Have your custom printed flags made to your design in any size with unlimited colours. Great for waving off and display your company or team logo. Display your information or advertisement with these convenient and non occupying space display method. Ideal for photo booth events, exhibitions, conferences and trade show. Portable display stand offer a very quick display solution, ideal for exhibitions, conferences and displays. They give the user an immediate presence helping to display the products or service in question.